adobongblog: Fruits and nuts, anyone? I am, admittedly, not really a fan of fruits. I only have these on occasion, sometimes even skipping these even when they're just there sitting on the dining table waiting to be eaten. I'm just not fond of them. However, I have recently been finding fruits to be very nice meal companions. Maybe it's because I miss the huge variety we have of fruits back in the Philippines. Our mangoes are to die for. Fresh pineapples, oranges and other citrus fruits, and a host of other fruits that change with the season are always present in our markets. 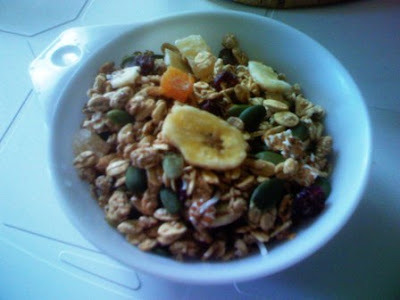 I have been finding fruits in our diet here in the presence of processed juices and more recently, in muesli. Muesli is a breakfast cereal of sorts. Plain breakfast cereals don't really interest me, as I easily get tired of corn flakes and sweetened, chocolatey ones (wait, I think those were for my son. heh). But we recently picked up a box of muesli simply because the cover photo looked appetizing: rolled oats with dried fruits and nuts. Sure enough, I enjoyed having muesli for breakfast! 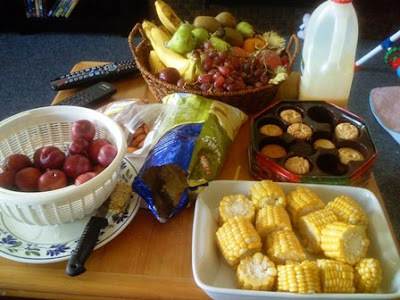 It was a crunchy meal, with this one having sunflower seeds and an assortment of dried fruits such as bananas, mangoes, and berries. Another good thing is that you can have it with or without milk. I suggest that you try some as an alternative to the usual rice and eggs or bread and jam mornings. 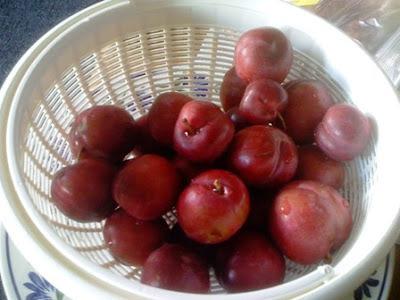 These are plums: juicy and fleshy bits of fruit that are sweet when ripe. 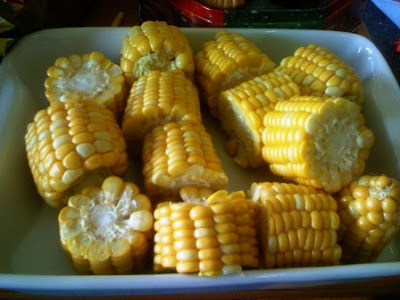 It was my first time to taste these a couple of weeks back at Glen and Cory's home. I liked it. It reminded me of our siniguelas, actually. I would just love to have mangoes too right now!